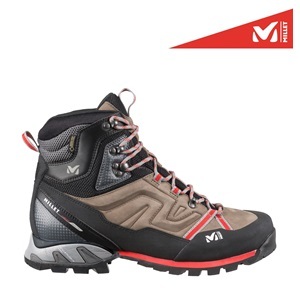 Boot for modern, high-tempo mountain walking. Protective, comfortable, offering a feeling of firm hold, fluidity and grip. AFC System, in leather, with GORE-TEX membrane, Vibram outsole, semi-rigid flex. Ankle-bone protection, precise tightening, cushioning stabilizer heel.